You’ll never see another truck like this in this shape. The odds are simply too low. First of all, it was built by Studebaker, so production numbers were much lower than its GM or Ford counterparts. As such, people who collect Studebakers as opposed to Fords or Chevys are a much rarer breed. Add to it that stake bed trucks were used and abused on farms across the country and you end up with a very small survival rate. This one has been immaculately restored. The M Series line of trucks was introduced for the ill-fated 1941 model year and would resume, post war, in 1946 and run through 1948 (they were built in 1942 as well before the company switched to military production). 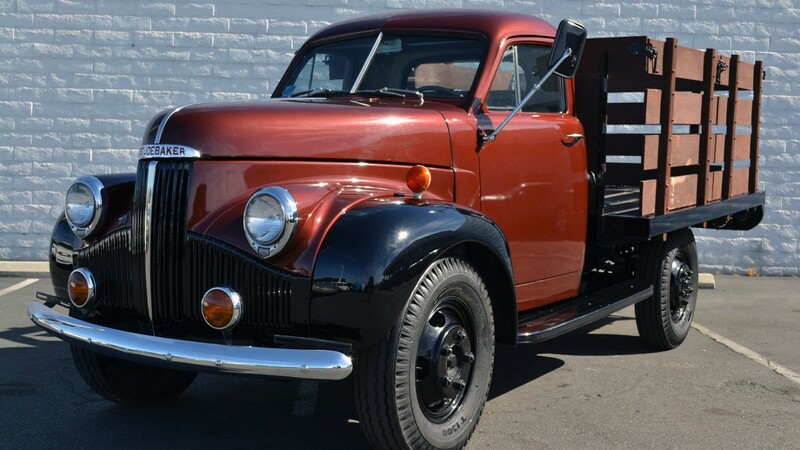 The M15A was only available from the factory with a pickup bed and was the largest such model offered before you got into heavier truck territory. This was converted to its current look later on. Power comes from an 80 horsepower 2.8-liter straight-six. The transmission is classified as a very old-truck-like “crashbox” four-speed. 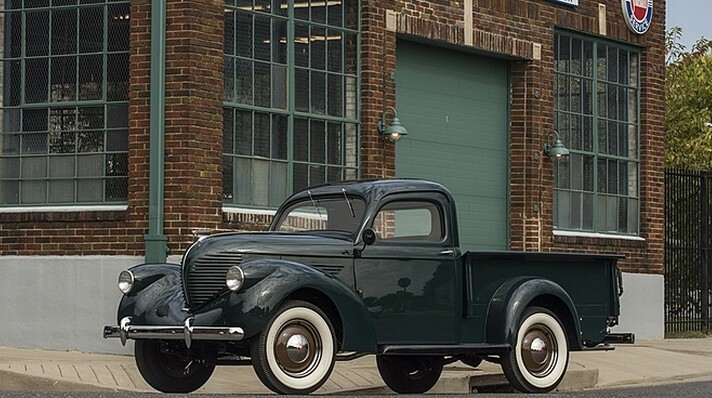 In 1947, Studebaker built 6,738 of these trucks and over 67,000 commercial vehicles in general that year alone. That number is larger than Studebaker’s entire pre-war commercial vehicle production total combined! We think this truck is awesome. Click here for more info and here for more from this sale. Studebaker is one of America’s greatest automobile marques, even if they went out of business in 1967. The company could trace its roots back to 1852 and in 1902 its first cars went on sale. Arthur Lovett Garford was a business man from Elyria, Ohio, who was successful in the bicycle industry. In 1904, he teamed up with Studebaker to build and sell cars. Garford provided the chassis, Studebaker the engines. Up through 1911, the cars were branded as Studebaker-Garford (and here and there as each marque separately, as both tested the limits of their marketing agreement). The G7 was the name in 1910 for what was the Model D in 1909 and what became the G8 in 1911. It is powered by a 40 horsepower 5.4-liter straight-four. The history of this example isn’t well known and it’s not clear that the body is original (records show that only Touring cars and Limousines were offered on the G7, while this is a sportier Runabout). This is a former Japanese museum car that is now back in the States. Studebaker-Garford isn’t a marque that shows itself often at auctions and this one should sell for between $80,000-$120,000. Click here for more info and here for more from this sale. Michael Kisber of Memphis, Tennessee, had a great collection of classic American pickups. 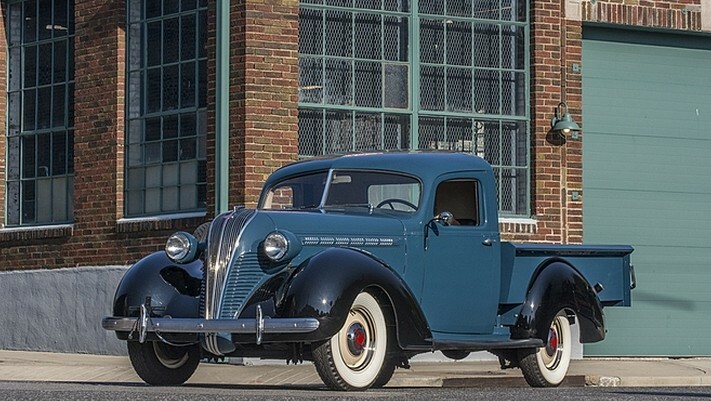 This 1937 Studebaker J5 is one very pretty truck. The J5 was new for 1937 and it was a new take on the pickup truck: instead of pure utility, they added some luxury and style. The engine is a 3.6-liter straight-six making 85 horsepower. The Coupe Express was available through 1939. About 3,000 of the approximately 5,000 examples built were constructed in 1937. Click here for more info. John North Willys started building cars in 1908 and the Willys name has had a long and interesting history. It helped win WWII for the Allied powers and later became part of Kaiser. It lives on today as the Jeep brand. The engine here is a 2.2-liter four-cylinder making 61 horsepower. You really don’t see examples of this truck around anywhere. Ever. You rarely even see Willys models from the 30s at all. It’s definitely cool. Click here for more. Terraplane was both a model built by Hudson and an entire sub-brand, depending on the year. In ’37 they were technically just Terraplanes, but it wouldn’t surprise me to see them badged as Hudsons as well. The engine in this one is a 3.5-liter straight-six making 96 horsepower. I’ve seen some of these trucks in person before and they are sharp. I’ve always been a Hudson fan and their sub-brand ranges were just as interesting as the cars they called their own. You can see more here and see more from Mecum here. Studebaker was the quintessential American automobile manufacturer. Like many of the great, early European marques, Studebaker had a long history dating back to the 1850s. They started by building wagons. Cars came in 1897. 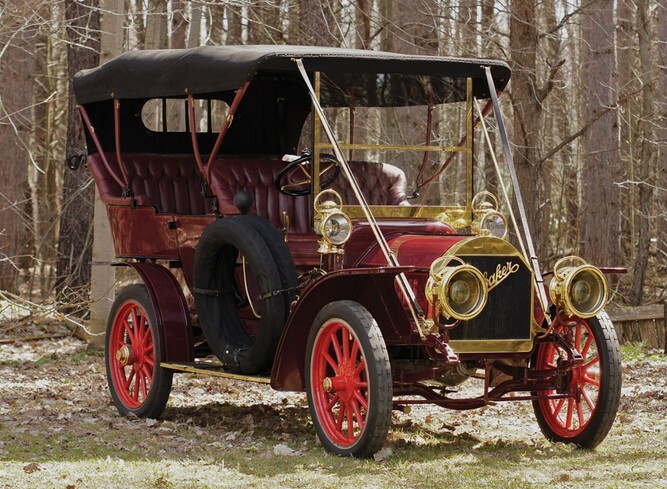 The early cars (until about 1911) were actually sold as Studebaker-Garfords. 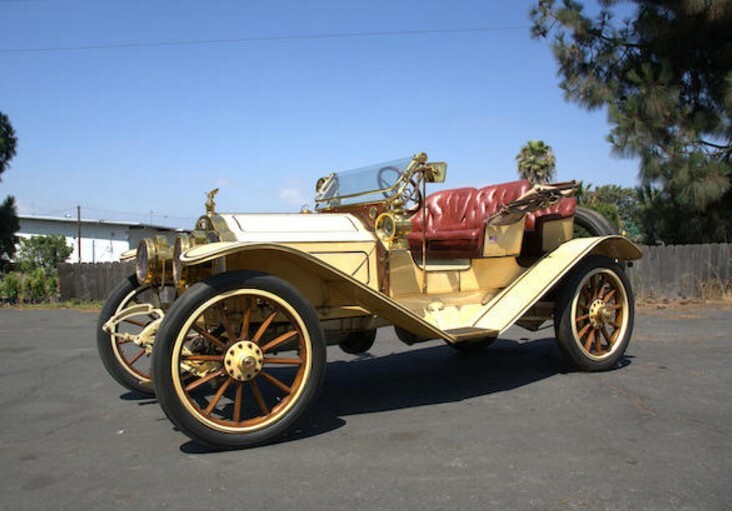 The Model G was new for 1906 and it was the highest-priced, most decked out model in the Studebaker lineup. The engine is a 4.6-liter straight-four making 30/35 horsepower. It could cruise at 45 mph and was only offered in this five-passenger touring configuration. This car has somewhat known history since new. It was discovered by Henry Austin Clark Jr. in the 1940s and put in his museum until 1968 when it was sold to – guess who – Bill Harrah. It remained in his collection until 1982. It is said that this is the oldest known four-cylinder Studebaker in existence. And its ownership history doesn’t get much better. Add your name to that list for between $325,000-$450,000. Click here for more info and here for more from this sale. Update II: Not sold, RM Sotheby’s Amelia Island 2017. By the mid-1950s, Studebaker’s outlook was dim. Ford and GM were pulling away fast and labor costs and quality issues were dragging Studebaker toward the grave. They merged with Packard (technically, Packard acquired Studebaker) but all that did was kill Packard off. 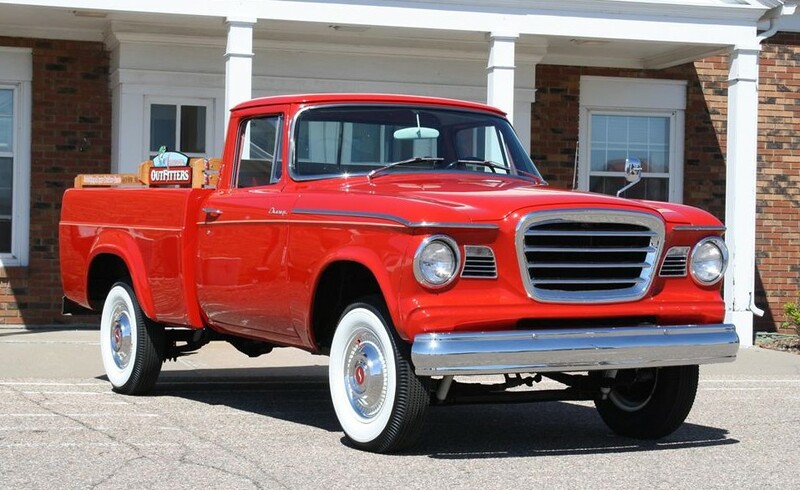 Cash-strapped but pushing forward, Studebaker invested what it could into redesigning their light truck line (which had gone unchanged for more than 10 years). Working within limits, they took their compact car, the Lark, cut it in half and designed a truck bed behind the passenger compartment and mounted it on a truck chassis. You can tell that’s what happened, because the truck bed doesn’t really flow into the body at all. Regardless, it’s not a bad truck. A 2.8-liter straight-six was the base engine. It made 90 horsepower. Even though this particular truck is a “Champ Deluxe”, it carries the base engine. It’s described as a “rust-fee Arizona truck” (rust-free and post-war Studebakers being a rare combo) but it has to have been restored. The Champ was the first truck with a sliding rear window – but this novel new idea would not save Studebaker. In December of 1963, their South Bend, Indiana plant was closed and the Champ was no more. Studebaker soldiered on until the end of 1966, but it was all over after that. This is a $15,000-$30,000 truck. Click here for more and here for the rest of the inaugural lineup of Barrett-Jackson’s Reno sale. I’m combining two auction highlights into one post: Russo & Steele’s Scottsdale sale as well as Mecum’s Kissimmee Sale. First up, Russo & Steele. Their top sale was a 1958 Mercedes-Benz 300SL Roadster. It sold for $727,100. Our featured car from this sale, the Yenko Camaro, failed to sell. On the interesting sales front: this 2008 Mulsanne GT, a sports car based on the Factory Five GTM, sold for $57,750. 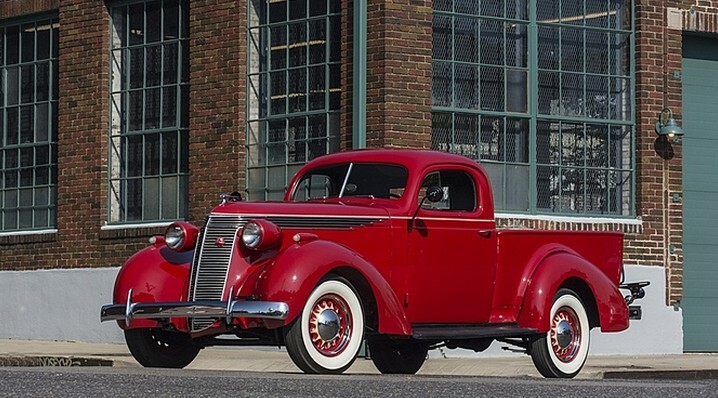 This 1937 Hudson Terraplane Pickup is a rare sight. It brought $41,800. Actually, my favorite car from this sale (and the one I would have rather featured) was this 1957 DKW 3=6 (which is not the most intelligent-looking name for a car I’ve ever seen) sold for a downright affordable $8,800. Russo & Steele had a lot of cool cars for really good prices. I’m keeping that in the back of my mind for their next sale. Check out full results here. On to Mecum’s Kissimmee sale. The top sale there was a white and blue 1966 Shelby Cobra 427 Roadster for $735,000. The interesting sales were topped by this 1952 Dodge Model B-3 Power Wagon. Trucks really don’t come any meaner. It sold for $57,000. From the pretty iconic and iconically pretty department: this 1951 Studebaker Commander Convertible sold for $37,500. And finally, one of my favorite cars of all time – the Chrysler B-Body convertible. In this case, a wonderful 1970 Plymouth Road Runner Convertible with a 440 Six Pack underhood. It sold for $195,000. Our featured Fuel-Injected Corvette Big Brake Tanker sold for $242,000. Complete results can be found here. RM Auctions’ 2012 sale in Hershey, Pennsylvania had a bunch of really old, really cool cars for sale. We featured the cream of the crop (at least from our perspective) and most of those sold. The one-of-a-kind South Bend Surrey failed to sell. So did the Stanley Mountain Wagon and 1915 Peerless. The top sale went to the Barrelside Model J Duesenberg for $1,292,500. Our other featured Duesenberg, the Murphy Sport Sedan, was the second-biggest sale at $792,000. One of the interesting cars we didn’t get a chance to feature was this 1914 Jeffrey Four Five-Passenger Touring that sold for $40,700. One big seller was a horse-drawn fire wagon. There were three of these at this sale, but this was far exceeded the other two, at $396,000. It’s an 1894 Silsby Fourth Size Horse-Drawn Steam Pumper. It was pretty decked out and everyone seemed happy when it sold. Other interesting sales included this 1912 Baker Electric Model W Runabout. There’s something about the tires on this thing that make it look like it’s ready to go tackle some trails somewhere. It sold for $85,250. 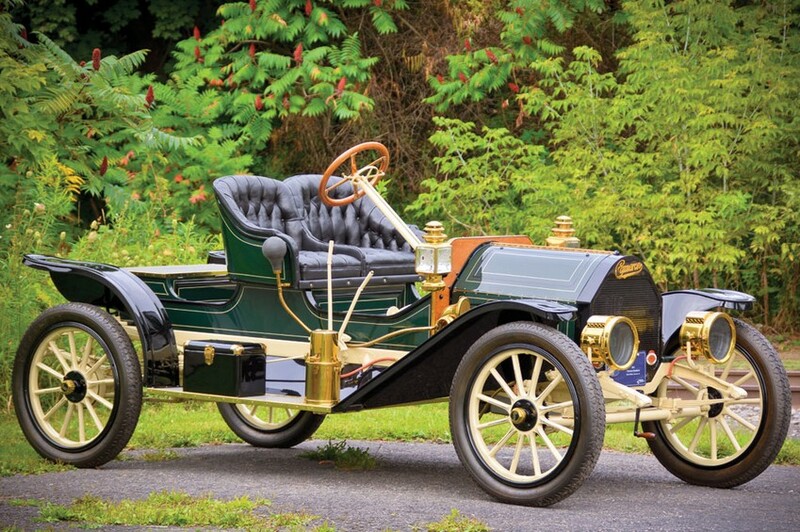 Other alternative-propulsion vehicles included our featured 1900 Milwaukee Steam Runabout for $44,000. The 1906 Pope-Waverley Electric Runabout brought $60,500. 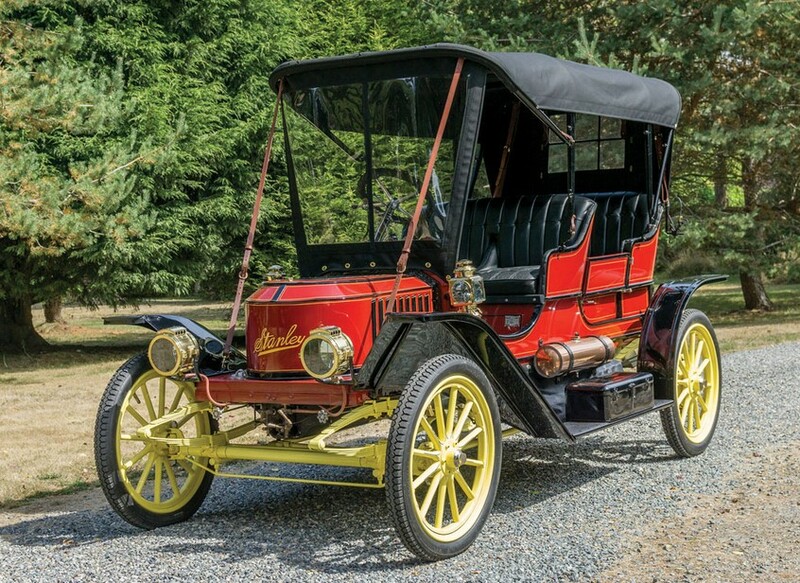 And the 1906 Columbus Model 1000 Electric Stanhope sold for $52,250. This 1913 Simplex 38HP Five-Passenger Touring, while not electric or steam-powered, was still cool at $214,500. 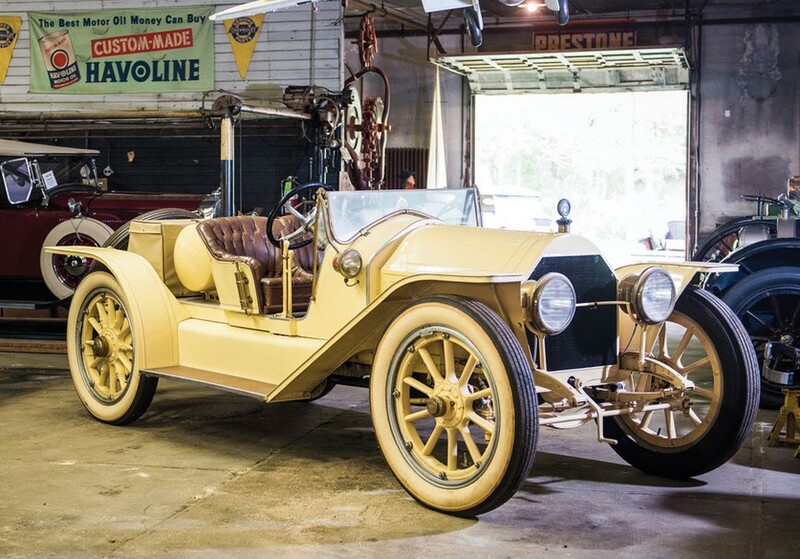 As was this 1910 White Model G-A Five-Passenger Touring that sold for $66,000. There was an interesting selection of American cars from the 1950s and 60s that included this very rare 1966 Studebaker Daytona Sport, which sold for only $10,450. Kaiser and Frazer were also represented. This 1949 Kaiser Deluxe Convertible sold for $57,200. And this 1950 Frazer Manhattan sedan brought $49,500. 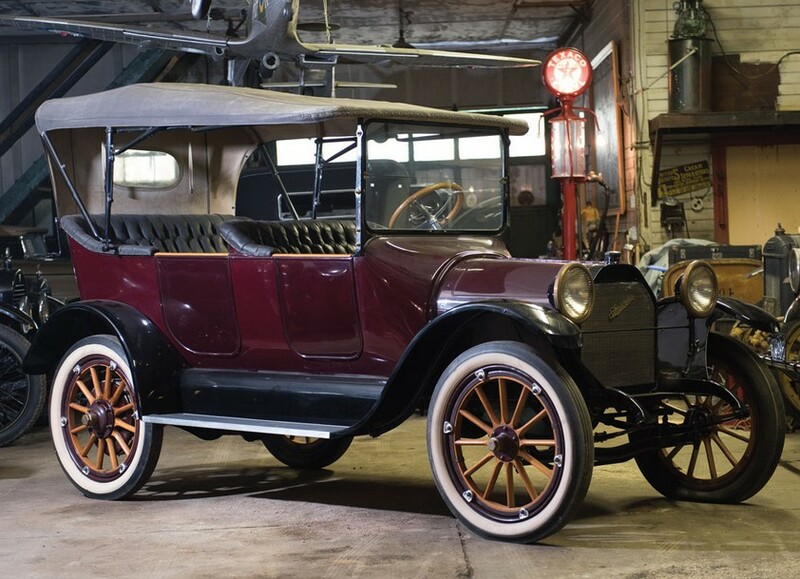 This 1903 Ford Model A Rear-Entry Tonneau is the oldest known Ford in existence being one of the first three cars built by the Ford Motor Company. It came from the John O’Quinn collection and sold for $264,000. As many old Fords as you see at auctions, you don’t see too many pre-1920 Chevrolets. This sale had one and its a great looking car. It’s a 1918 D-Series V-8 Touring car and it sold for $46,200. Our featured 1918 Roamer Five-Passenger Touring car sold for $93,500. And the 1920 Premier Model 6-D sold for $63,250. 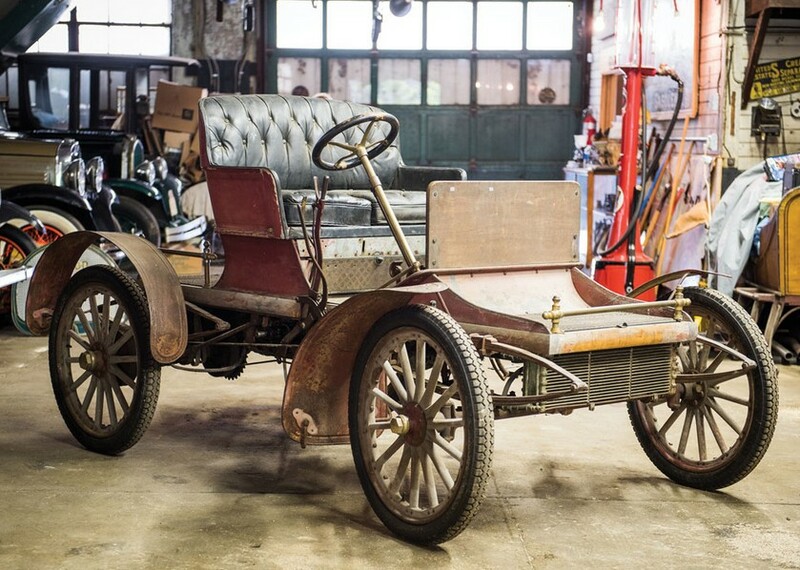 This 1919 Renault Type EU Torpedo seemed especially cheap at $49,500. Another car I found interesting was this 1910 Metz Two Runabout. It also sold for $49,500. Our other two feature cars were the 1902 Northern Runabout for $66,000 and the 1906 American Tourist Roi des Belges Touring for $110,000. For complete results, check out RM’s website, here.